During the Exchange Club of Brunswick’s weekly meeting recently, the members honored all of the veterans present for Veterans Day. 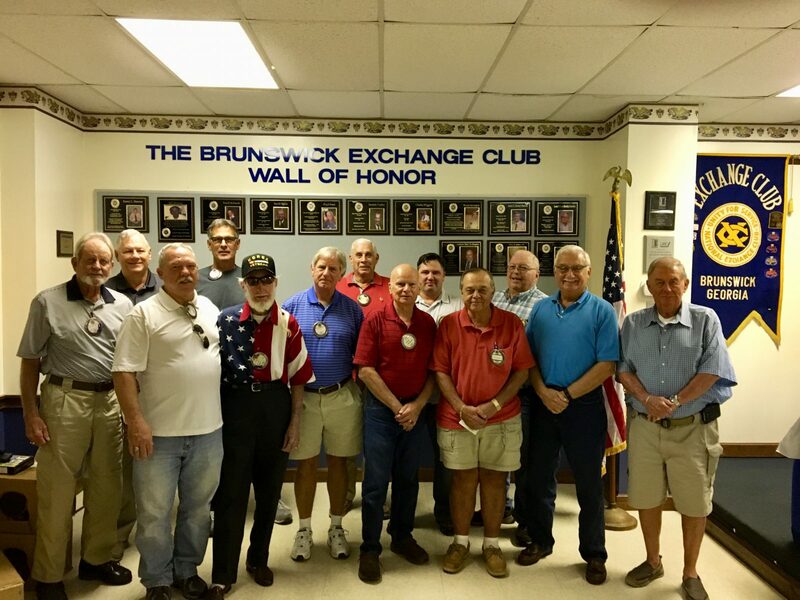 Those members were asked to stand in front of the wall of honor for a group photo. Pictured from left to right are Larry Roundtree, Randy Phifer, Barry Cooper, Kim Snopes, P.J. “Frenchi” Blanchard, Derick Hulsey, Rich Glassen, Gary Johnson, Rhett Fairfield, Joe Gaska, Mac Burgess, Jim Royal, and Mike Howell.